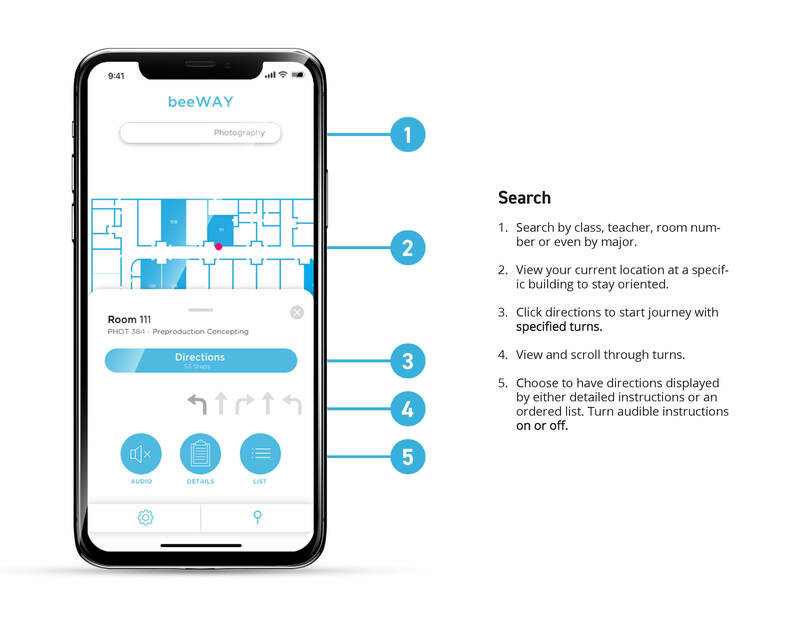 We began by sending out a survey and found that a high majority of students found the building hard to navigate and that an overview of the building would be helpful prior to entering the building. We also found that our surveyors felt that directional arrows were most helpful compared to icons and color-coded indicators. We kept with SCAD brand language to keep interfaces consistent for our users. 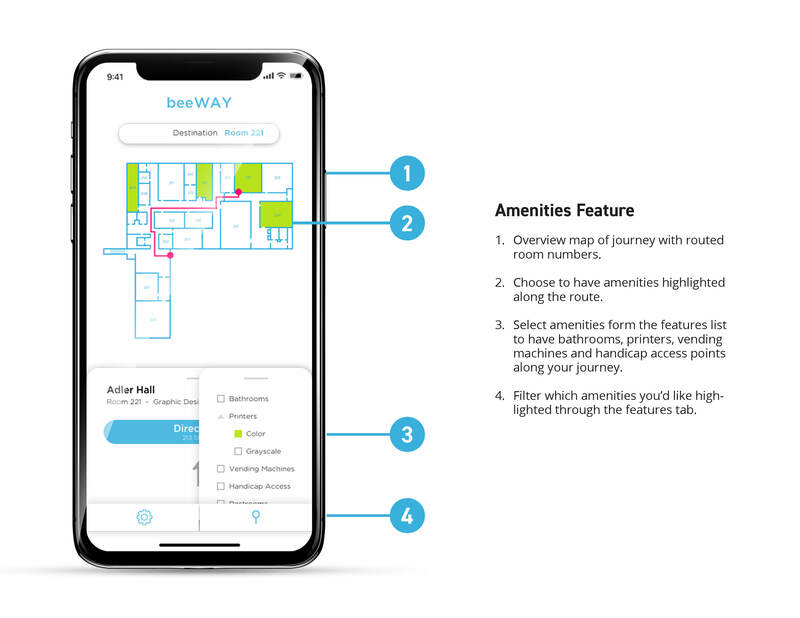 This also means that BeeWAY will be an existing feature of the existing SCAD app. 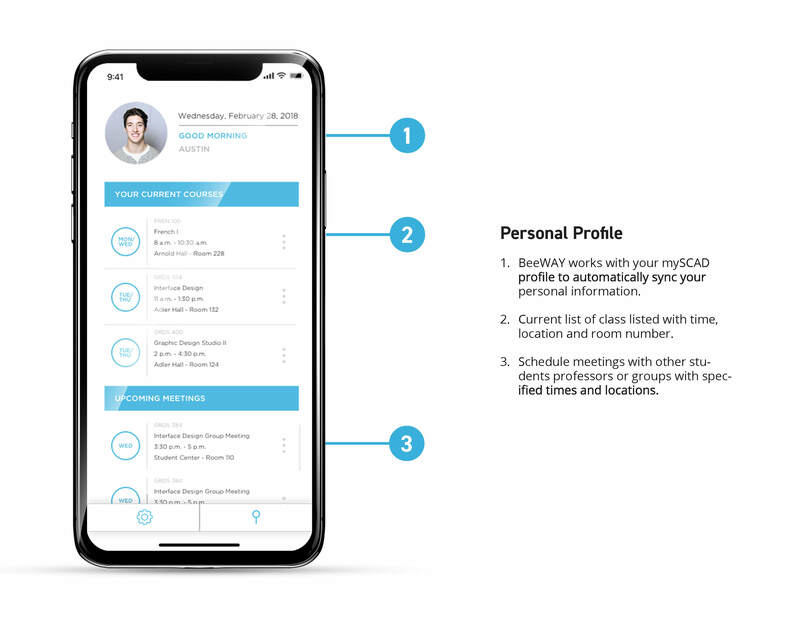 Our core features included in Phase 1 of the app are an overview map, a search bar, building features menu, and settings. 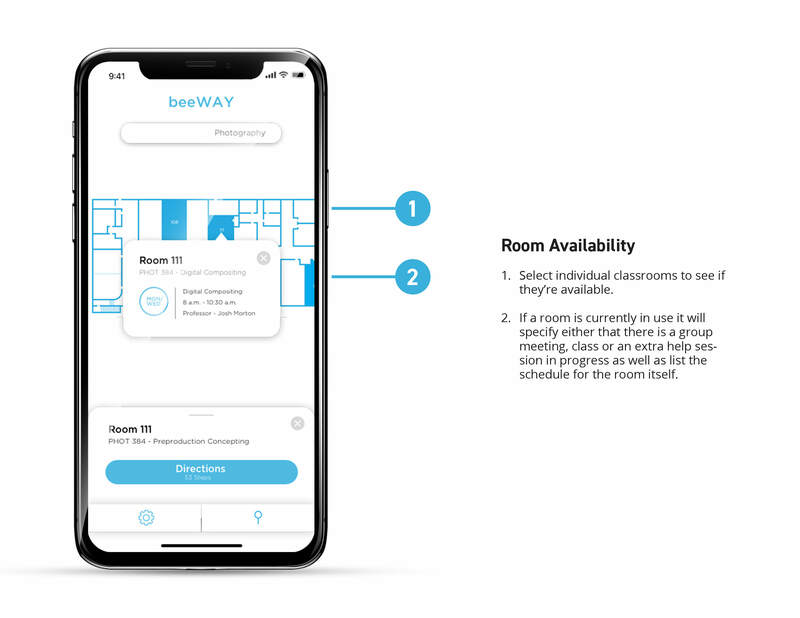 BeeWAY will be advertised through the SCAD website, the MySCAD app on banner ads and through sponsored social media posts. Deliverables: Identity, App Design, Prototype & Promo Video. 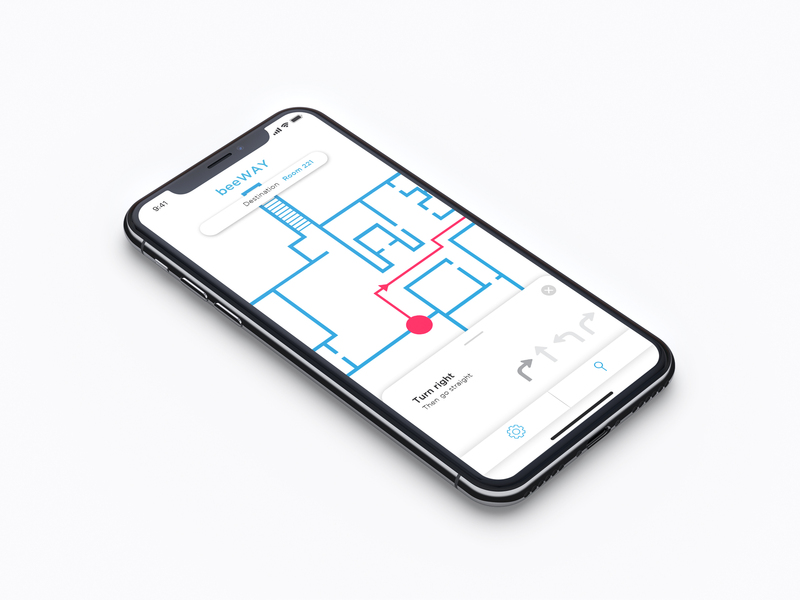 The objective of this project was to create an app that will help students better navigate SCAD’s Adler Hall, home to: film, sound design, graphic design, advertising, and photography majors. 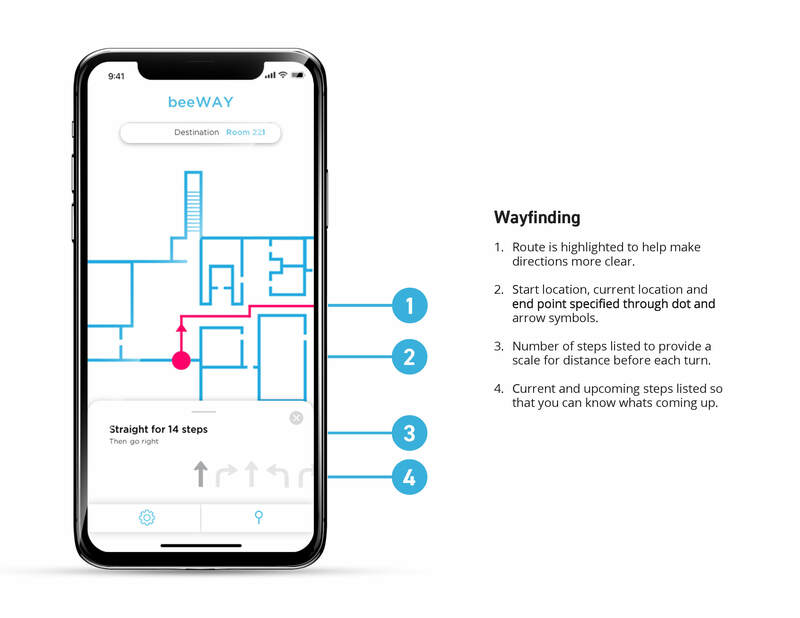 The solution we came up with was an app that fluidly and intuitively helps users find their way through the building. Many SCAD students and visitors struggle to navigate the complex halls of the academic buildings on campus, which increases the stress of students attending the university.